Family journeys are only fun when everyone is enjoying the ride. The Radio Doctor has the prescription with rear seat video entertainment systems. Overhead flipdown systems can be a good option for rear seat entertainment. Sound can play over the vehicle’s speakers, or headphones can be worn. Some units have inputs for USB video or games. We can install power inverters so you can take your home game system on the road. 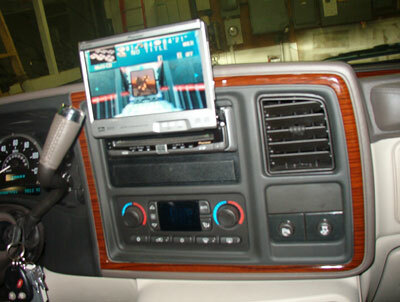 DVD headrest systems are available in universal or custom applications. The custom headrests use the factory materials for a perfect match. DVD + android based systems can store and play video, games and more. Come into the store, or give us a call at 608.221.9292 and we can help you choose the best system for you.